Kotak Mahindra Bank is the first ever bank to launch account opening facility via mobile App. The name of the app is Kotak 811 wherein you can open an account within few minutes and save yourself from standing in long queues. The app has other attractive facilities as well which altogether have made it unique. 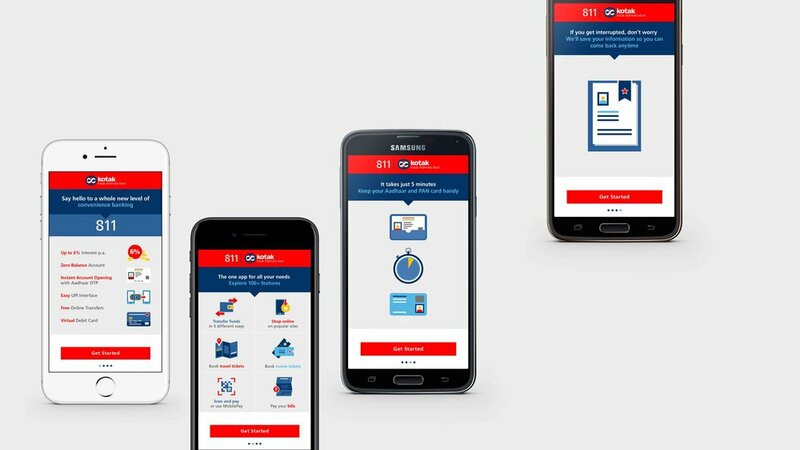 In this article, you will read about the features and benefits of using Kotak 811 App and how can you use it from today itself. Zero balance account– You can open a zero balance account the app within just PAN card in your hands. You get to earn an interest rate of 5-6% per annum on your savings with the balance over ₹1 lakh and up to ₹5 crores. If you have the balance up to ₹1 lakh, you can earn 5% per annum interest on the amount and in the case of balance above ₹5 crores, you earn 5.50% per annum. There are no penalties for not maintaining the minimum amount. Scan and Pay– You can pay for groceries, shopping, tickets, movies and other requirements without cash by just scanning your debit or credit card. You can scan the barcode and pay the bill. Multi-purpose App- Through this App, you can book movie tickets, flight tickets, shop, subscribe to magazines etc. Virtual Debit Card Accessibility- The introduction of 811 Virtual Debit Card replaces the plastic made the debit card as it is convenient, safe and can be accessed from anywhere at anytime. You just need to carry your mobile phone with yourself whenever you are paying bills or doing recharge or any other online payments in just a few minutes. Get Loans and Make Investments- Along with other benefits, you can also apply for a loan from this app and not only this you can also make investments. What else can a person want in this busy world? Download App– You can easily download Kotak 811 app from Google play store and start using it instantly. Provide Aadhar Number- You need to mention your Aadhar Number as it is required for the registration. Submit the OTP pin- You need to mention the OTP pin that you get on your registered mobile number for authentication to open the savings account on your mobile. If you have been facing any issues while using the app, you can contact the bank on 1860-266-2666.